Buyer beware! I feel obligated to share this information with those of you who do not frequent the hair boards. There is currently some controversy surrounding the natural hair care company Enso Naturals. A popular natural hair blogger known as Moptop Maven is believed to be behind the company. That would not be an issue if she was deathly ill as she led her readers to believe, and she did not owe hundreds of people money from her previous business venture. I will not get into the details of how this all came to light but you can find out all you need to know here and here. Enso Naturals has erased comments regarding MopTop Maven's affiliation with the company and has not explained why her name was in the sender's field of several company emails. With that said, I cannot wholeheartedly recommend Enso Naturals at this point. I would not want my readers to get scammed out of their hard earned money if this is in fact the same person. I did re-order products before this situation came to light so we shall see how this plays out. All I'm saying is be careful ladies! WOW!!!!! Thanks for looking out! 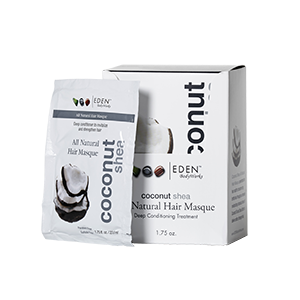 i attempted ordering from enso after i saw a rave review on one of their products on thegoodhairblog. but now it's been over a month and my order did not come through. i randomly starting looking up information on moptop maven today and now i see she's possibly affiliated with enso. i was a big moptop supporter initially, but her dealings seem shady at best at this point. i'm kind of pissed at the whole thing actually. wish i had researched enso before i ordered! Oh no :( Have you tried emailing them/her? I will NEVER order from them again. I ordered some items, received half of it. I emailed and emailed and finally someone emailed me back and stated we will re send and put something extra for the trouble. I thought GREAT, I ordered these items to this date a year ago; still have not seen those items or my money back. Someone needs to do something.